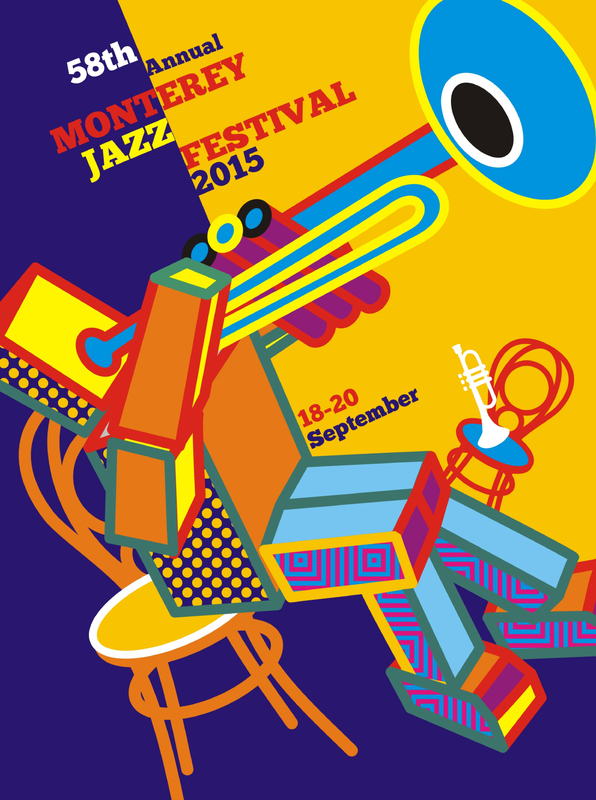 Poster designs for the 2015 Monterey Jazz Festival, the longest continuously-running jazz festival in the world. Since 1958, the Monterey Jazz Festival has stayed at the forefront of jazz performance, showcasing legends and breaking new acts. Voted “Best Jazz Festival” by JazzTimes readers in 2013, the Monterey Jazz Festival is a three-night, two-day festival that occurs every year in late September on the legendary Monterey County Fairgrounds in Monterey, California. Previous festival performers include Miles Davis, Dave Brubeck, Dizzy Gillespie, Billie Holiday, Thelonious Monk, John Coltrane, Herbie Hancock, The Roots, and many more. The clients we´re looking for a classic jazz poster that is fresh, bold, colorful, original, and modern, yet honors the Monterey Jazz Festival's legendary past. 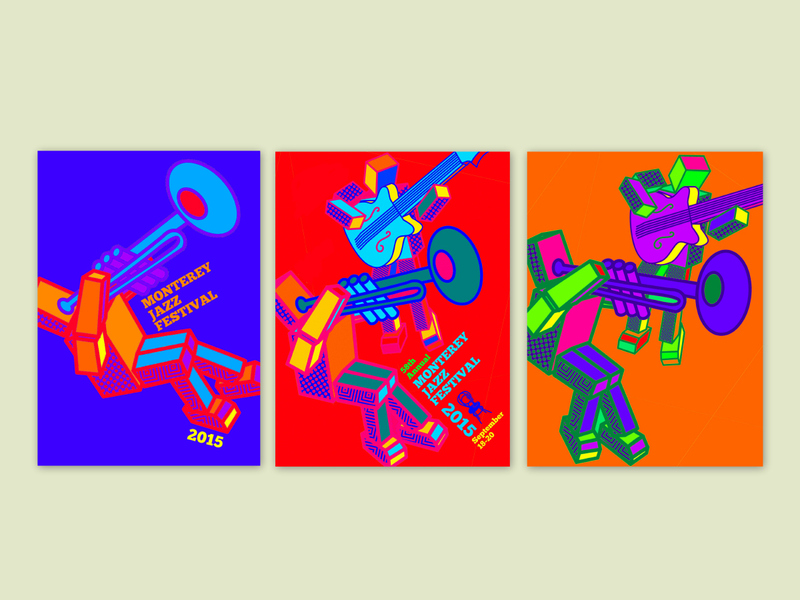 The poster would become the visual theme for the 58th Monterey Jazz Festival in 2015, and must be easily applicable to advertising, clothing (t-shirts, hoodies, shirts, jackets), merchandise, stage backdrops, and a host of other applications. They suggested large, bold, iconic images of solo performers. In case of using performers with instruments in an illustrated format, their preferences are trumpet, trombone, guitar, and vocal. No recognizable performers were allowed. You must interpret the logo. All submissions must be original art/illustrations. 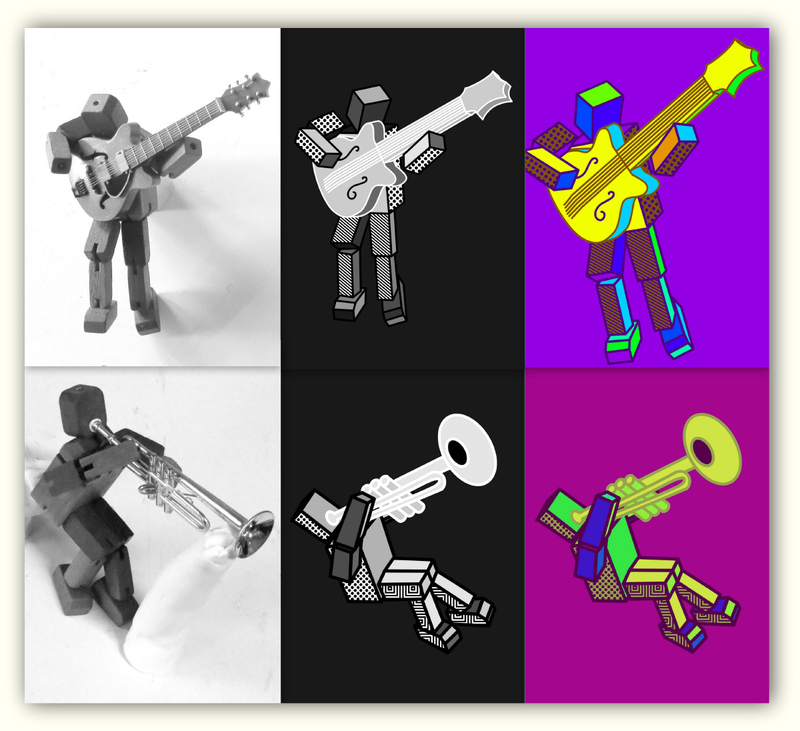 Since picture of recognizable performers were not allowed, my design approach was based on using wooden toys playing jazz instruments as basis for the vectorial drawing. In the first column the photo is shown, in the second the black and white drawing and in the third initial colour studies. Some layout and colour schemes studies. 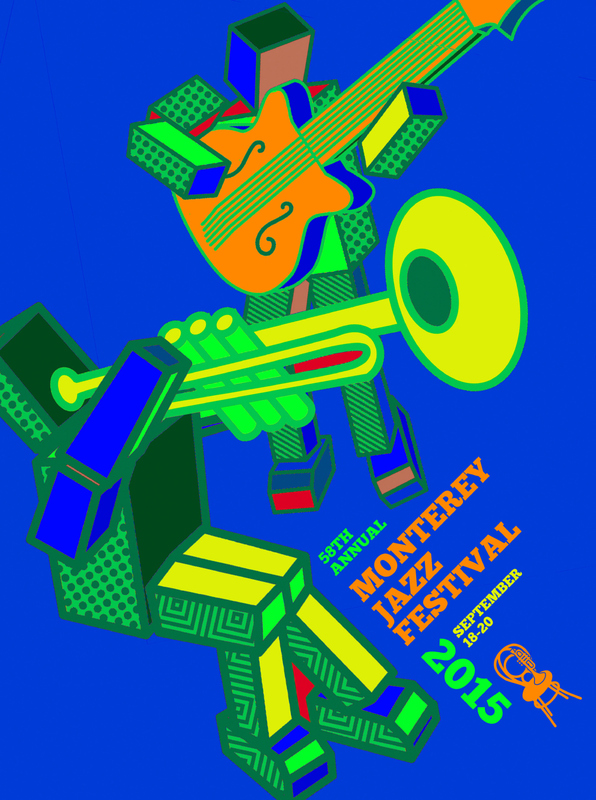 The brief required the inclusion of text "58th Annual Monterey Jazz Festival, September 18-20, 2015" and the interpretation the festival logo. Design 1. The brief required the text: "58th Annual Monterey Jazz Festival, September 18-20, 2015" and the interpretation the festival logo.